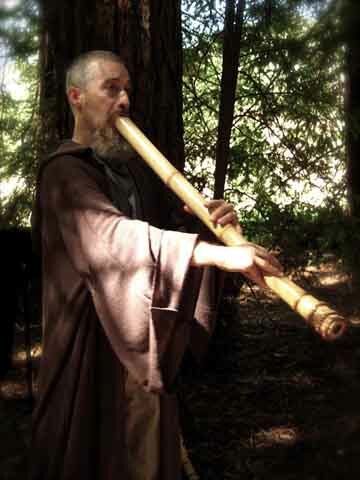 Brian Tairauku Ritchie studied shakuhachi for seven years with James Nyoraku Schlefer. Ritchie achieve the rank of Jun Shihan (teaching license) in March of 2003. Along with the license he received the professional name "Tairuaku" which means "Big Music." Brian works closely with Ken LaCosse developing the complex Taimu sound. He performs and records throughout the world with Taimu Shakuahchi. Since 2009 he has also curated the Mona Foma (MoFo) festival in Hobart, Tasmania. Brian tours and records with Violent Femmes, a band he started in 1981. The Femmes have played in over 40 countries.Their accomplishments include sold out performances at Carnegie Hall, Royal Albert Hall, Woodstock '94 and the Northernmost rock concert in the history of the magnetic north pole. They have nunerous gold and platinum records to their name. Cornelius Shinzen Boots is a San Francisco Bay Area composer, performer and instructor specializing in single-reeds and flutes. 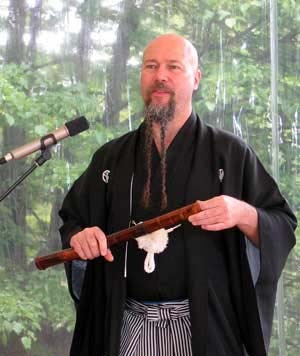 He has music degrees from Indiana University (BM Clarinet Performance, BS Audio Recording, MM Jazz Studies), and is the first student of Grandmaster Michael Chikuzen Gould to have earned a Shihan (master teaching license) and was given the shakuhachi name 深 禅 "Shinzen" (depth Zen or deep Zen). In addition to teaching, Cornelius has recorded and written, in shakuhachi calligraphic notation, a series of 27 etudes (Mukyoku) for Taimu shakuhachi. His latest recording, "Mountain Hermit's Secret Wisdom" features Buddhist hymns based on nature, breath and awareness, as well as new compositions for Taimu. It was recorded in an abandoned gold-mining cave. Kiku Day PhD (London), MFA (Mills), BA (London) is a shakuhachi player and teacher, ethnomusicologist, researcher. She teaches shakuhachi in Denmark, London and online. She performs solo and ensemble concerts with traditional shakuhachi pieces, contemporary music and improvisation. 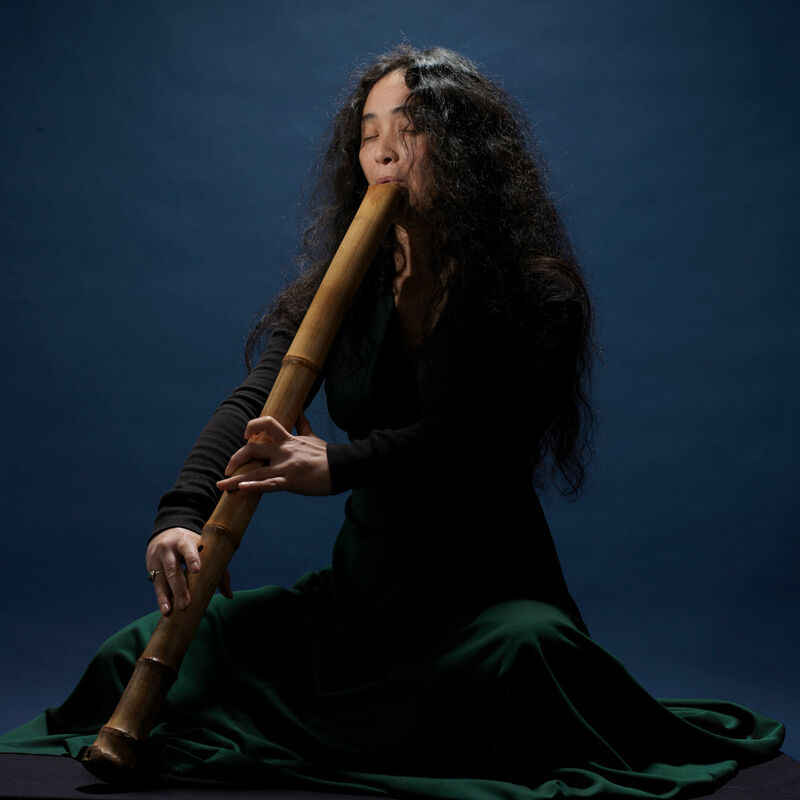 She also gives guest lectures on shakuhachi and other subjects on music and meditation, and teaches groups at shakuhachi festivals and other events. 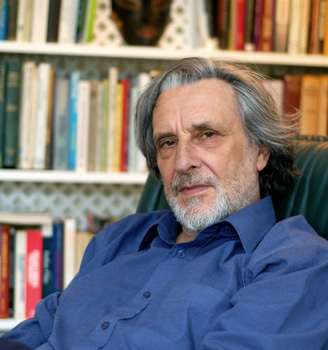 Frank Denyer is an internationally acclaimed English composer whose brilliantly coloured and imaginatively rich compositions fall between several and into none of the accepted categories of contemporary music. Denyer’s music is distinguished by a keen sensitivity to sound. Each of his works is written for a unique combination of instruments, more often than not a combination that no composer has dreamed of before. In 2008, Denyer composed "Woman With Jinashi Shakuhachi" specifically for Kiku Day and Taimu shakuhachi. It appears on Denyer's CD "Whispers." 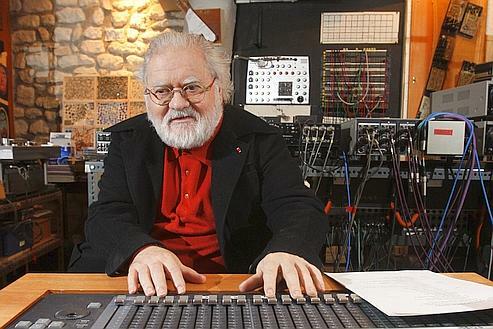 Pierre Henry is the father of musique concrete, and pioneered most of the recording techniques musicians use today. His reputation outpasses the frontiers of pure classical and French musics. In 1967, he composed Psyché Rock, an internationally successful track remixed from then on by many DJs and bands (Willy Orbit, Stereolab, Fatboy Slim, Christopher Tyng for the US TV show Futurama, Moog Cookbook...). Pierre Henry is a spiritual leader for generations of artists who still enjoy the discoveries and the daring and visionary experiments of the composer. In 2012, Henry performed a composition using Taimu shakuhachi (Ritchie) "Paroxysms" in Paris and broadcast live in Tasmania at the MOFO Festival of Music and art. It is included in Henry's box set, "Odyssee." 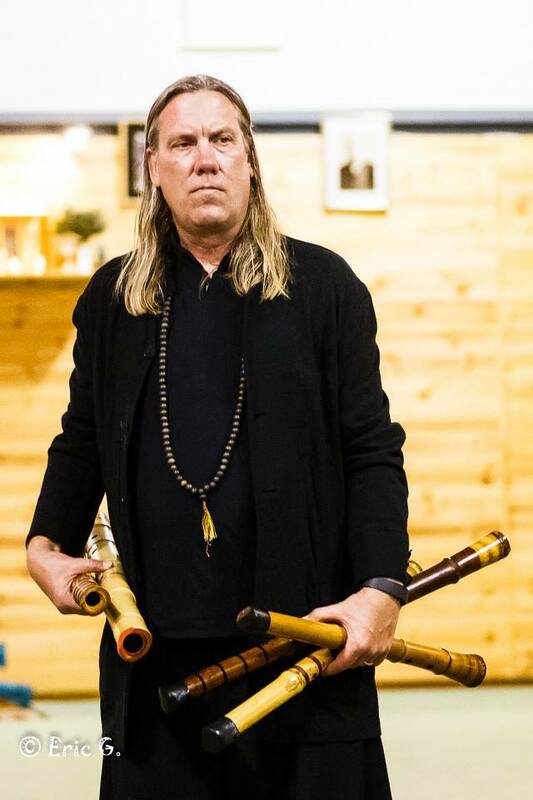 Michael Chikuzen Gould began learning the shakuhach in 1982 in Kyoto, Japan under the guidance of world renowned masters Mr. Yoshinobu Taniguchi and Mr. Yokoyama Katsuya. In 1991 he earned the title of Dai Shihan (Grand Master), one of only a half dozen nonnative Japanese to do so. He appeared on television and radio programs in Japan, lectured in schools and taught shakuhachi. Since returning to the U.S. in 1996, he has made hundreds of appeearances and many recordings. On Gould's CD "Monshogodo," he plays Taimu shakuhachi on the track, "Komuso Nagashi."